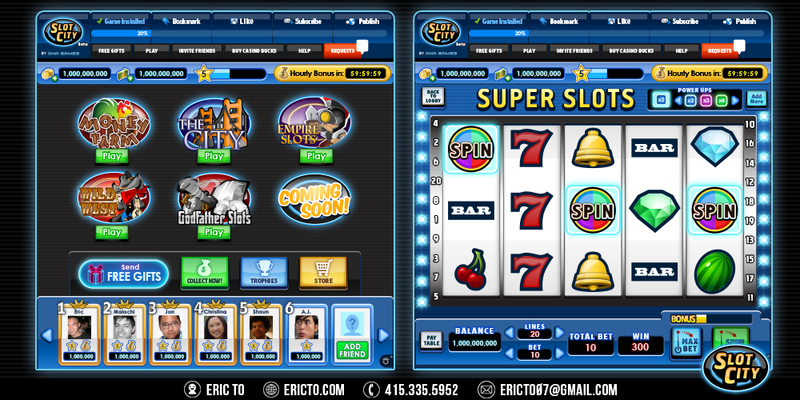 Role and Responsibilities: I designed all Ui assets for Slot City. I worked closely with the Game Designer on the UX and wireframes. I oversaw the art direction of Slot City and provided feedback to artists involved in the project. 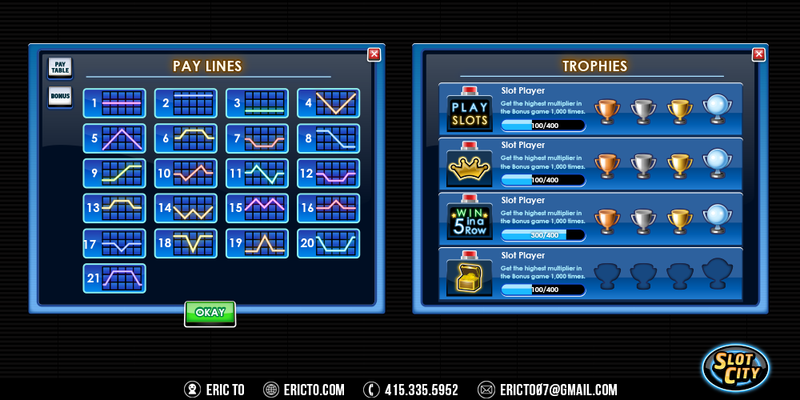 Slot City main menu and the default slot theme design. 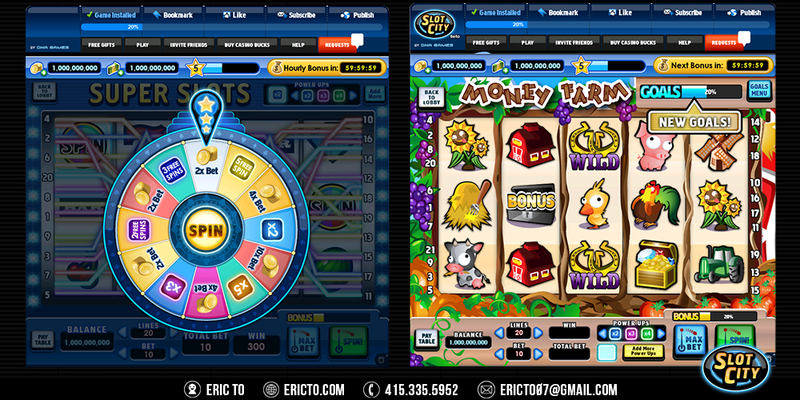 Daily spin wheel and farm theme for slots. 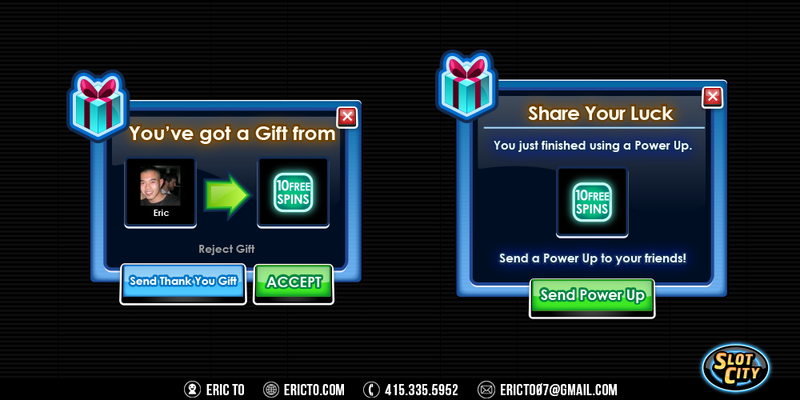 Level up and send a gift popups. Daily bonus and winning popups. 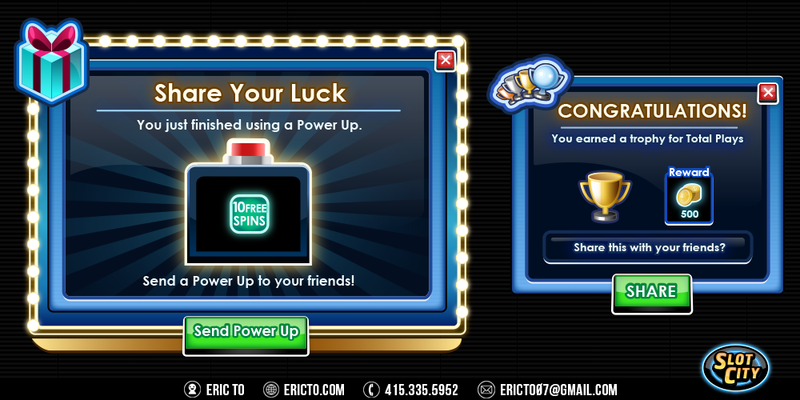 Popups for using a power up and earning a new trophy. Popups for the pay lines and trophies. 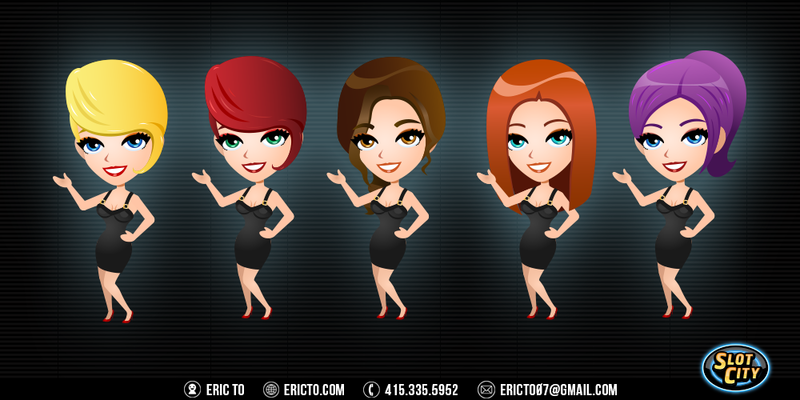 Character designs for the hostess.